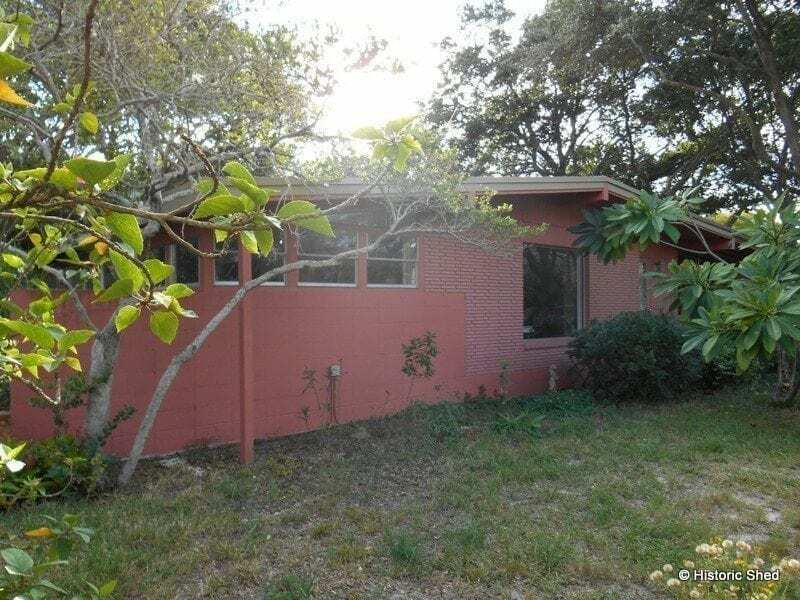 A few months ago, we were contacted by an artist who has a 1950s Mid Century Modern style home in Tampa who wanted a studio that would complement her home. 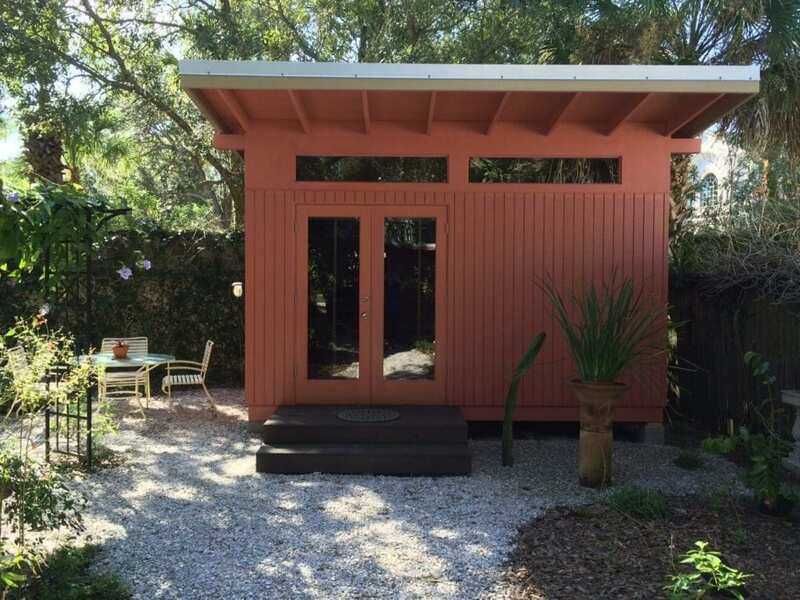 The Historic Shed™ MiMo shed was adapted to meet her needs and to match elements from her home. The Ballast Point home, built in 1957, has a low sloped roof, brick and T1-11 exterior and fixed windows that follow the roof slope. In order to maximize the space in the studio and allow for the transoms above the door, the front wall was raised to 9′ high, and the rear wall to 8′. The shed roof line is followed by the side triangular transoms. The front elevation features a pair of single light French doors, two transom windows, and a 4′ roof extension. I love this building. 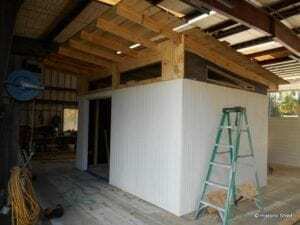 I am looking to build and art studio. I am in St. Petersburg. We have an unusual house with a large setback. Essentially we have a regular front yard, a fenced and private courtyard and the house set right back towards the alley. We have a pool in our front yard because it is a very private courtyard. The shed would have to go there too. Hard to explain but here is a link on my blog. http://razmatazblog.blogspot.com/2012/11/the-front-yard-pool.html We now have complete privacy due to plantings. Would love to hear ideas and get an estimate of costs. Thank you. 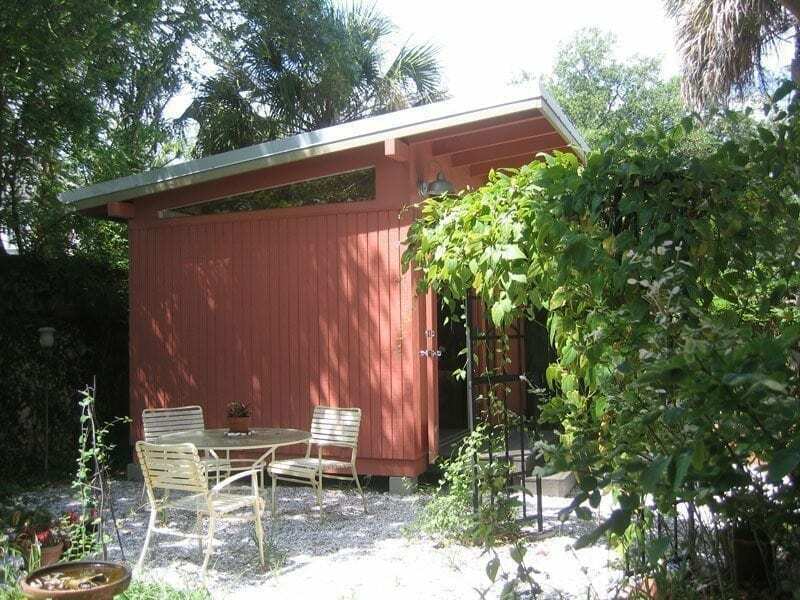 We just moved to sarasota and we bought a smaller home. 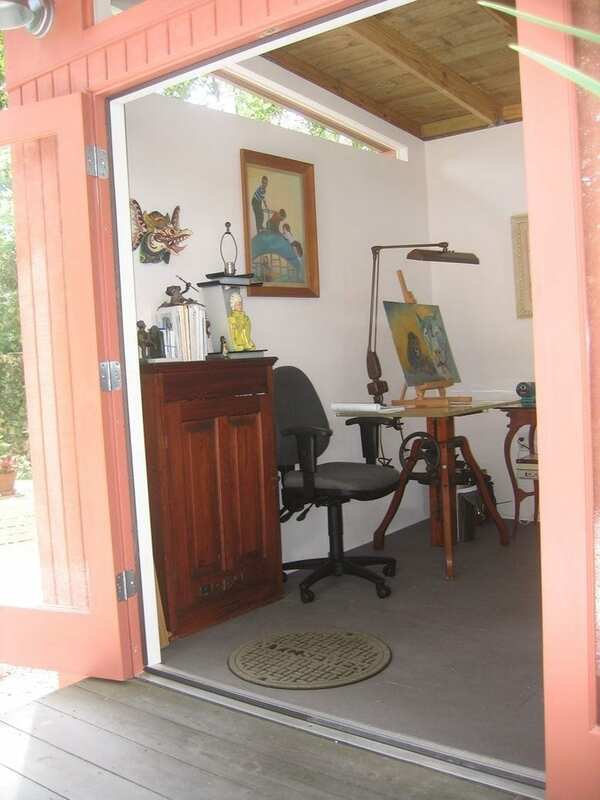 I need a painting studio/workshop. 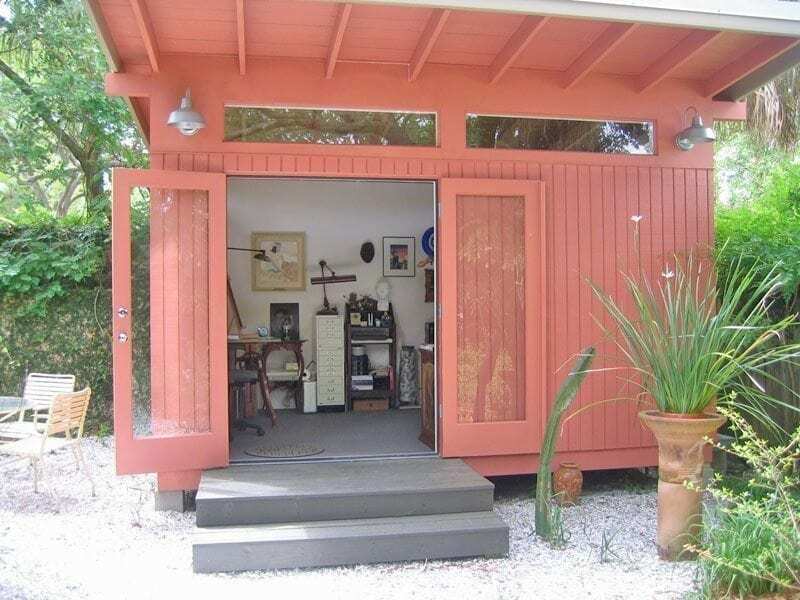 One exists now but we want to enlarge it by 8×16 and we would like to change the roofline to look like this mid-century custom shed. 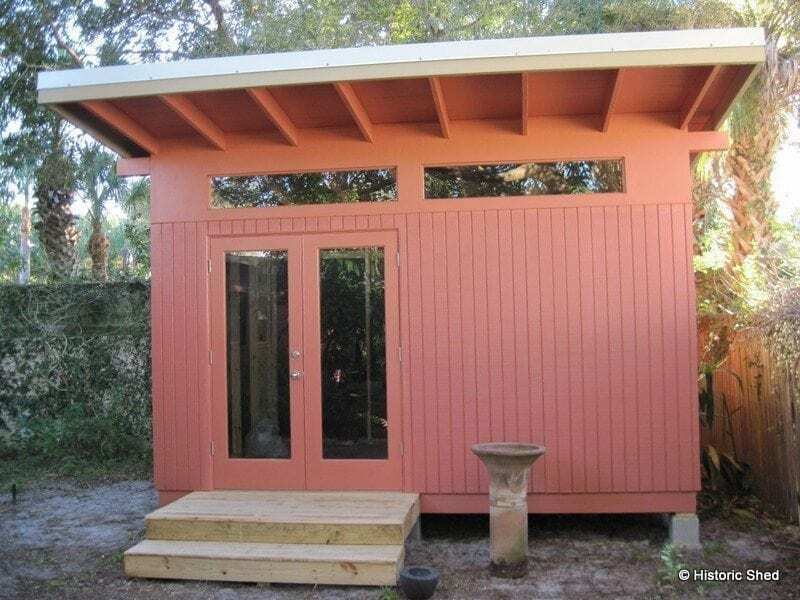 (btw, how much was this shed? Our current shed has electric (outlets etc. I live in Sarasota city. ‘m told the permits and inspections are more stringent than in Virginia (where we moved from). I will send you an email to discuss. Thanks!